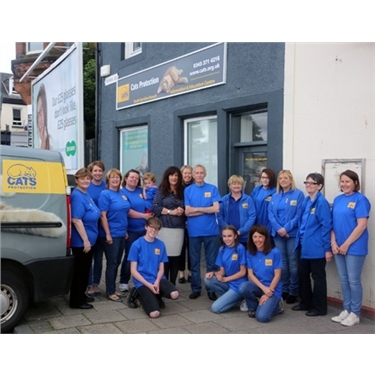 The volunteers from the South Ayrshire Cats Protection celebrated the opening of their branch Information and Education centre at River St on 27 July. Bobby Gaffney, branch coordinator said; “Cats Protection’s vision is a world where every cats is treated with kindness and an understanding of its needs. We welcome the public to pop in and find out about the Charity and all about the cats we are currently helping to find Forever Homes." We would like to thank all our supporters for their continued commitment to the South Ayrshire Branch! The South Ayrshire branch is run totally by volunteers. If you are interested in joining our team, please visit our centre or call 03453 714216 to find more about volunteering.